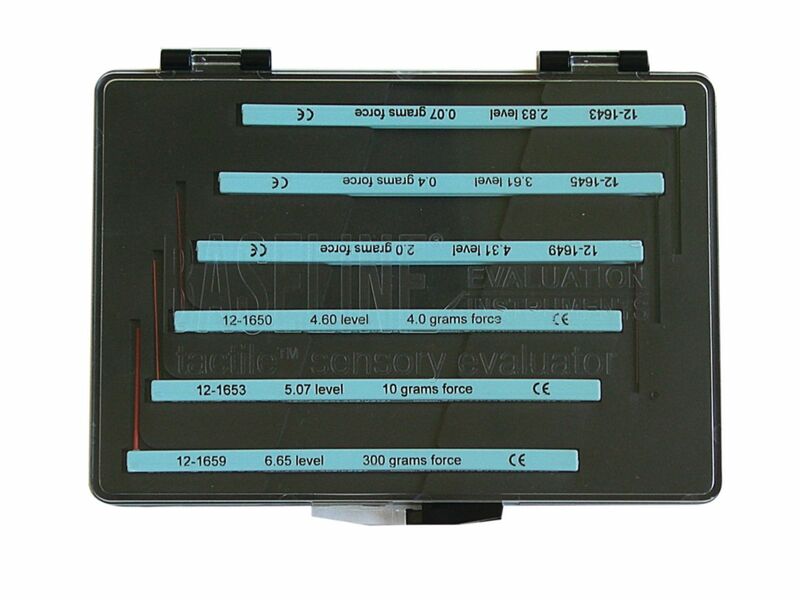 The baseline tactile monofilament evaluator, foot set, measures cutaneous sensory perception threshold of the feet. Used to test sensation levels, and obtain objective data for accurate reporting on the status of diminishing or retuning sensibility. 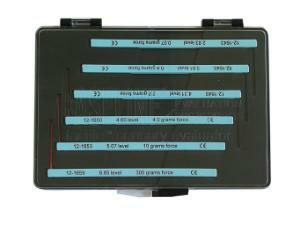 Features 2.83, 3.61, 4.31, 4.56, 5.07 and 6.65 sized monofilaments.